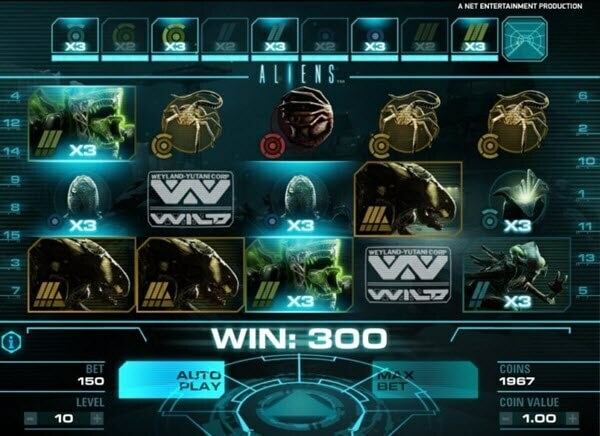 Aliens Slot Game is based on the storyline of one of the most popular Sci-Fi of the same name. This movie was produced in 1986 by 20th Century Fox and role of the main protagonist was played by Sigourney Weaver. James Cameron was the director of this movie at that time and even today he is directing the sequels to this movie which still retain the same entertainment value. Aliens Slot Game is a five reels and fifteen pay lines game developed by Net Entertainment. Most of the symbols in this game are quite reminiscent of the alien characters used in the movie. The three dimensional graphics along with appropriate soundtrack help in creating the dark and brooding atmosphere required to enjoy this game. The visuals provided in the Aliens are through the camera of a marine’s helmet which makes it even more realistic. The game play involves searching and destroying the aliens. Player of this game must survive through the incessant attacks by these aliens and reach the queen’s hive. 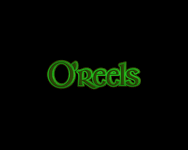 Once there, the main operational objective is to destroy it and win massive prizes. Aliens Slot Game comes with a fixed jackpot of 1000x along with the other usual features which include auto play, bonus rounds, scatters, multipliers, free spins and a wild symbol. This slot does not provide scatters or any kind of gambling options. 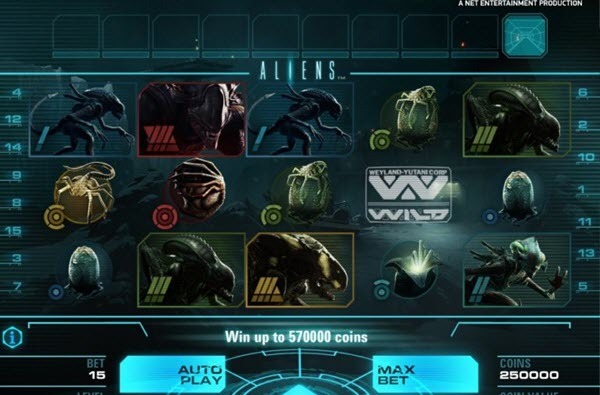 The maximum coin limit for Aliens is set up at fifteen coins. The coin range starts at £0.01 and goes up to £10.0. The minimum wagering requirement for each spin starts from £0.01 and ends at £150.00. • Landing five of these symbols on a pay line awards 1000 coins. • Landing four of these symbols on a pay line awards 150 coins. • Landing three of these symbols on a pay line awards 30 coins. The least paying symbol of this game is a newly laid alien’s egg with the highest payout of 30 coins. Wild Symbol: The Weyland Yutani logo is the wild symbol of this game. It can be substituted for all other symbols. 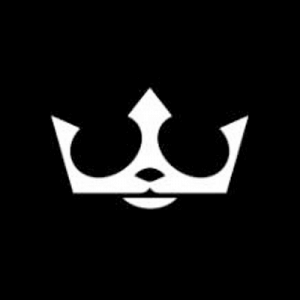 This symbol can appear on second, third, fourth and fifth reels during the main game and helps in creating winning combinations. During the second bonus round called “The Encounter” these symbols can randomly appear anywhere on the reels except for the overlaying reels. The Search: During this base game level a player is required to collect 9 different multiplier symbols provided in the main game. These multiplier symbols are in the range of 2x to 14x. Once the requisite number of multipliers is bagged, the second level i.e. The Encounter gets activated. All the multipliers collected during this round are depicted by The Alien Activity meter. It should be noted that if a spin does not generate a win, then one multiplier gets deducted from the meter. Once the next level is reached, the highest multiplier symbols reached during the main game are transferred to that level. The Encounter: At this level, player is required to kill maximum number of aliens. After each spin, an overlaying symbol covers the first, second and third reel. The symbols have their own multipliers thus ensuring at least one winning combination for the player. After each spin, ammunition clips are issued to the player to kill the aliens. There are 10 steps provided at this level and the player needs to complete these to reach the next level. However if during this round, the ammo gets exhausted, then the mission gets aborted and the player is returned to the level 1. The Hive: Once this level is reached, the player is provided with a total of 5 re spins and 4 ammunition clips. The main motive of this level is to kill the Alien Queen and her eggs. In order to exert maximum damage a single grenade is also provided. 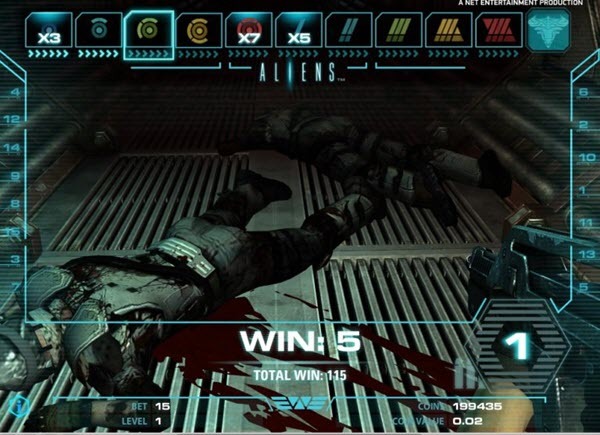 During this round, aliens are in an attack mode and the damage caused by them to the player is shown on the Hive Health meter. This level includes four steps and completion of each of these steps awards a coin win. On killing the Alien Queen and destroying her hive, a bonus of 240x is awarded.